Duke mastered the short turnaround! 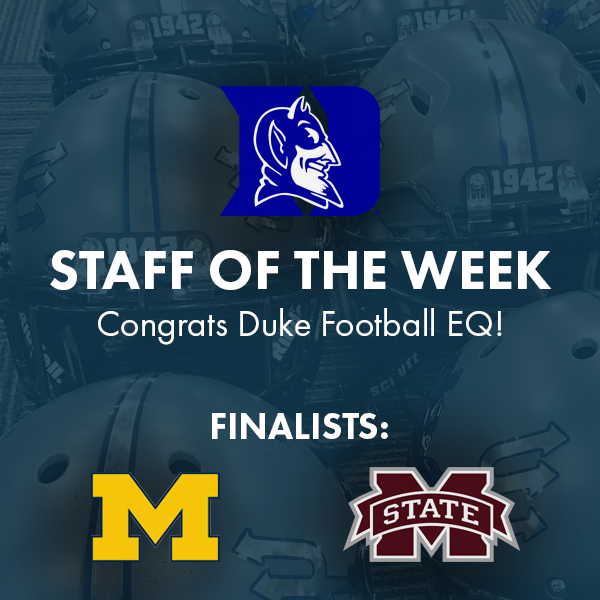 The Duke Football Equipment Staff faced a short week heading into their Thursday match-up versus rival North Carolina. A short turnaround is challenge enough. But, the staff also had to prepare new helmets, stickers and uniforms for the game.